Lots of Harry Potter inspired stuff on the interwebs this week. If you haven't already, check out Hark: A Vagrant's Tiny Hermione series. Emmy Cicierega has a series of Snape-inspired cartoons, including this one, of Harry Potter's son, Albus Severus Potter. 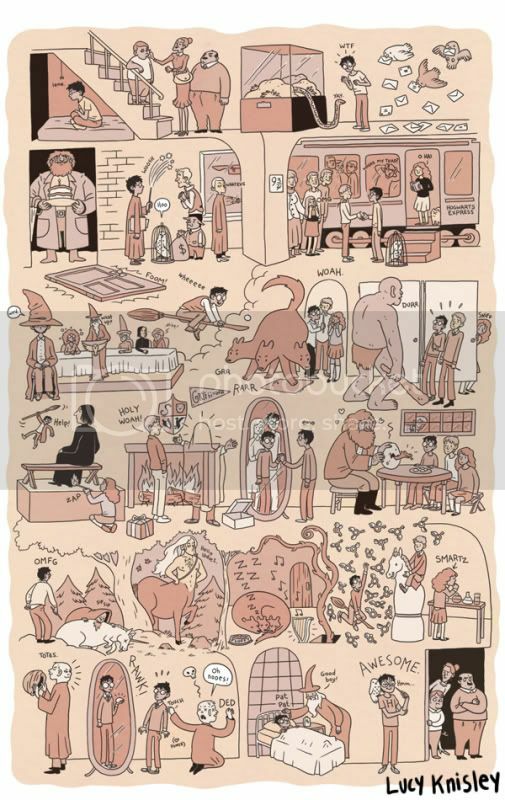 Finally, don't miss out on Lucy Knisley's interpretation of the Harry Potter series in comic book form. You're in luck! Click the link. She sells it as a poster! It's not expensive, either. I totally want one for my office.